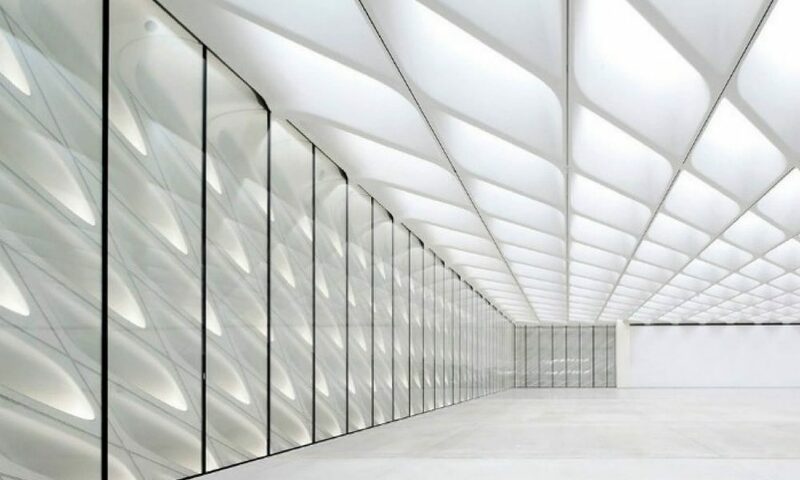 Guthrie Douglas’ TESS™ 660 systems were installed by Hunter Douglas Architectural USA on the spectacular vaulted rooflights of the Broad Museum in downtown Los Angeles. 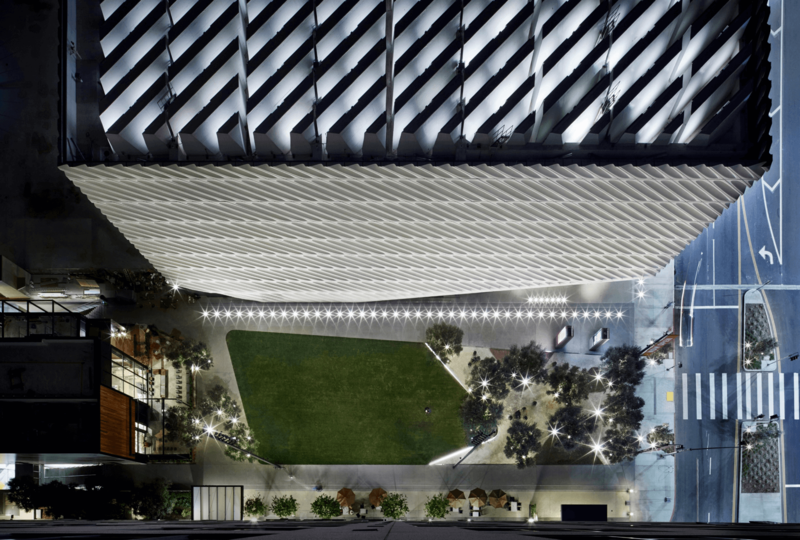 The recently opened Broad Museum of Contemporary Arts takes its name from its founders, philanthropists Eli and Edythe Broad. The museum houses the Broad Collection of over 2,000 pieces spanning five decades from post 2nd World War to the present.The Collection is exquisitely encapsulated in Diller Scofidio + Renfro’s ‘Veil and Vault’ design which creates beautiful and unusual lighting effects across the exhibition space, generating different atmospheres throughout the galleries as the day draws out. 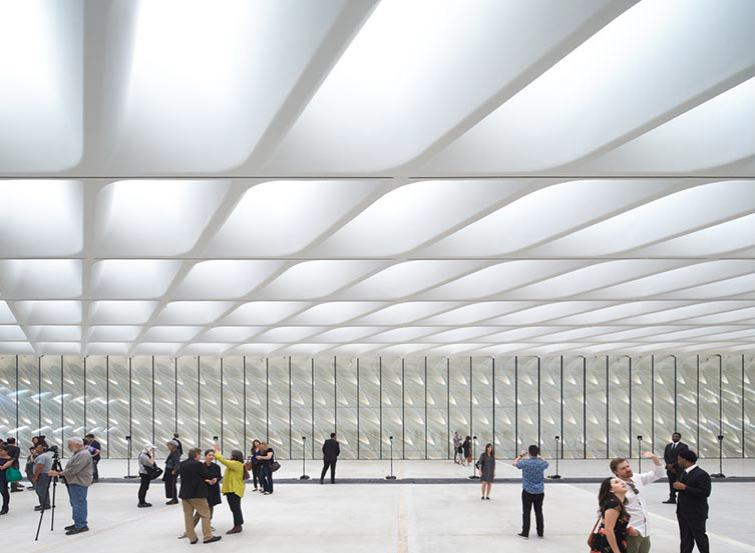 In order to control the ambient light levels, and give the museum the ability to block out the light entirely when required, each of the uniquely shaped rooflights was fitted with a Guthrie Douglas’ TESS™ 660 tensioned blackout shade. 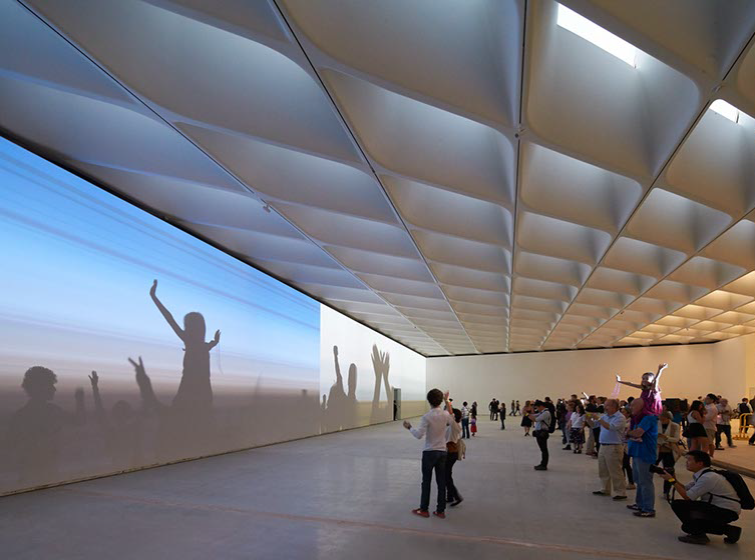 The shading supplier for the Broad Museum project, Hunter Douglas Architectural USA, proposed the TESS™ 660 for its unique ability to provide blackout in almost any context. Tom Roberson, general manager of HD Architectural Specialty division, said ‘Architects love the 660 for its discrete design and the way it blends in with the glazing surround. Shading engineers love it for its reliability and efficiency, with just a single motor and the ability to fit it inside and out. 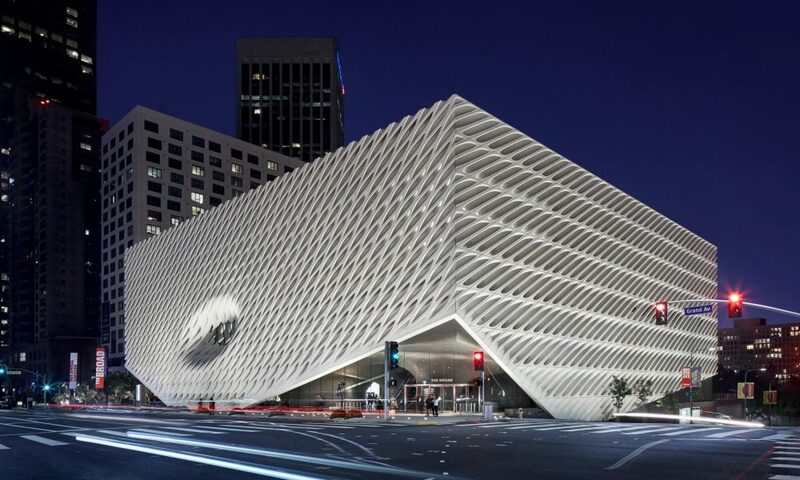 With its inconspicuous design the TESS™ 660 fits neatly over the sloped external rooflights of the Broad Museum. 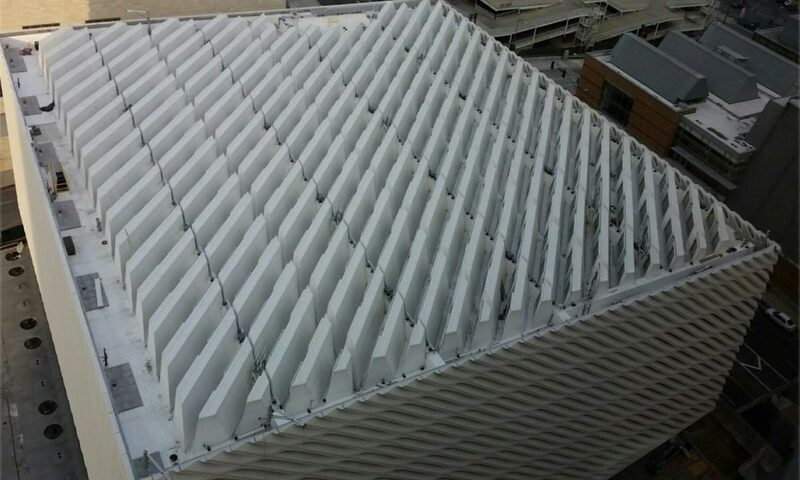 To cover the entire roof Hunter Douglas Architectural supplied over 350 TESS™ 660 systems in a wide range of sizes and were supported for the 7 week installation on site by Guthrie Douglas technicians from the UK. The shades were connected to a single wireless network that covers the roof allowing the owners to close them quickly and easily from inside the building as part of the Building Management system. We seek to collaborate with architects and design teams as early in the process as possible. Read another case study where we created bespoke systems to follow the curve of a domed atrium.